It's a hybrid amp, with both a printed circuit board and a vacuum tube, and produces about 8 watts per channel stereo output. [More photos and details here.] I believe it's intended for use with computers or laptops. And ... it's a kit. You assemble it from the provided components, though the circuit board is preassembled and requires no soldering. Considering that you can get an ok little 20 watt Lepai Tripath amp for about $20, I'm pretty sure this is more fetish than fidelity. Looks cute, though. 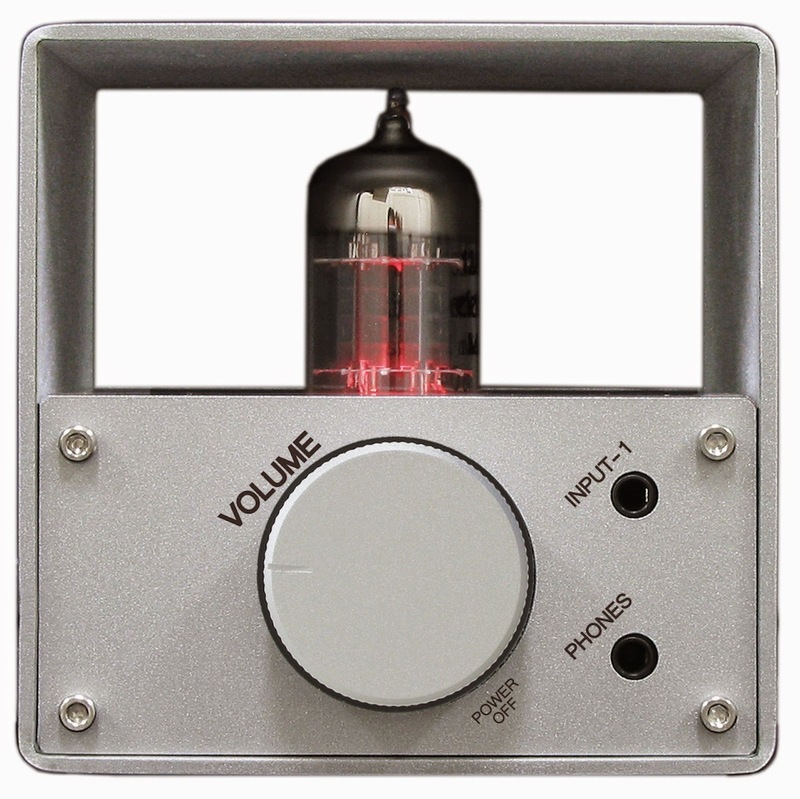 I want a synthesized vacuum tube sound for an mp3 player! Software only, no overpriced hardware.